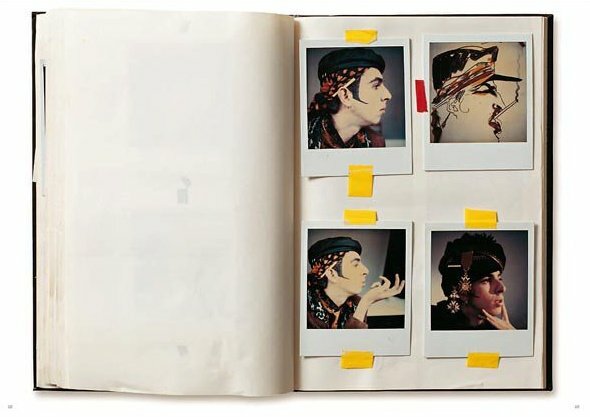 "I look for new ideas because I always want to be in a state of creative anxiety and insecurity. 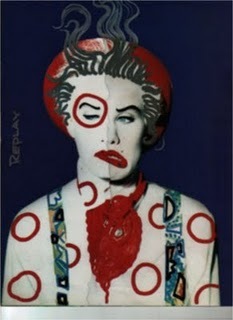 If I feel sure of myself I cannot be creative." 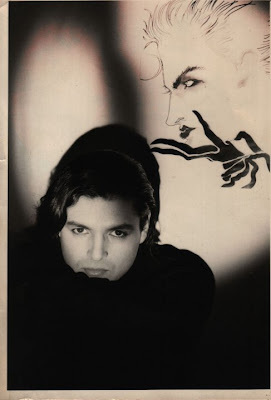 It�s hard to write anything original about Viramontes when there are hundreds of articles out there documenting his incredible and tragically short career. 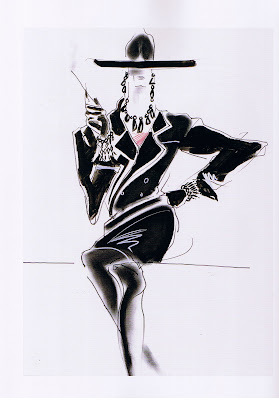 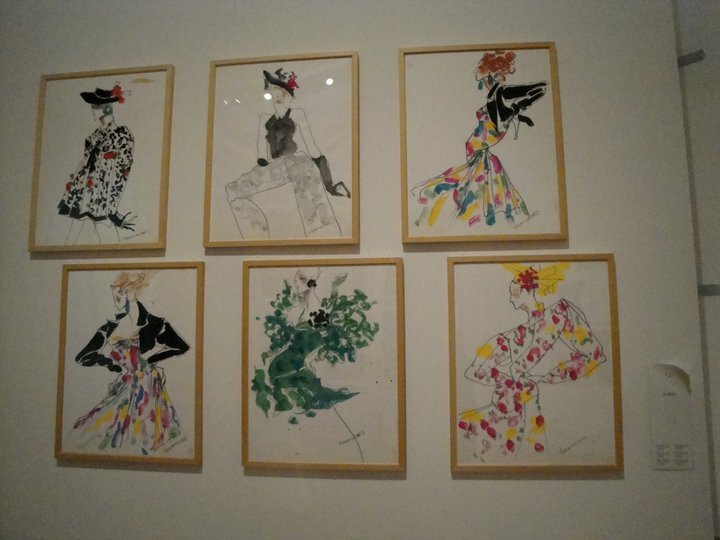 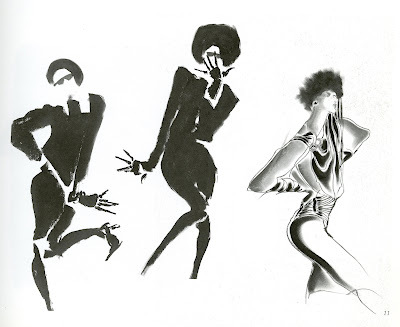 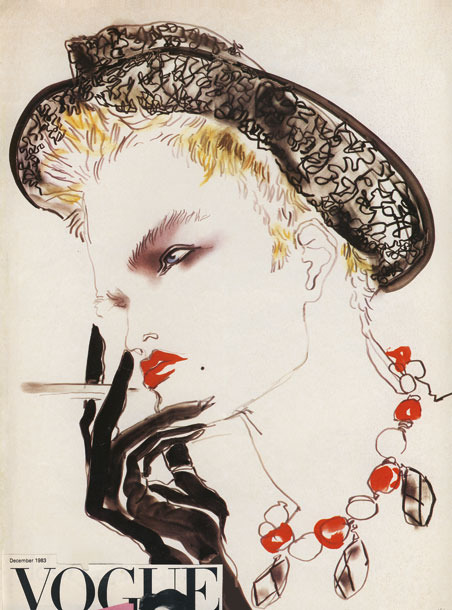 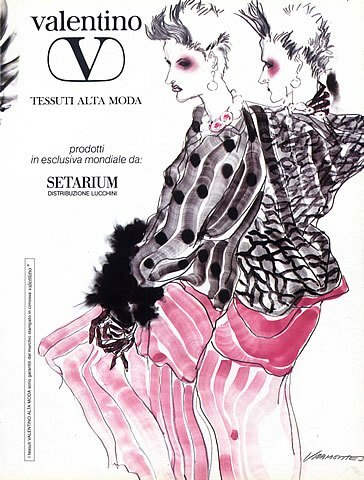 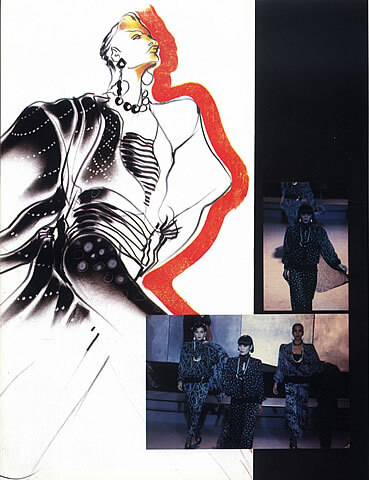 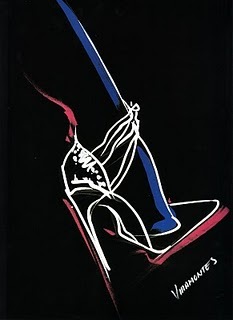 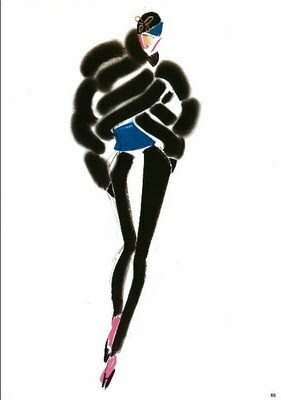 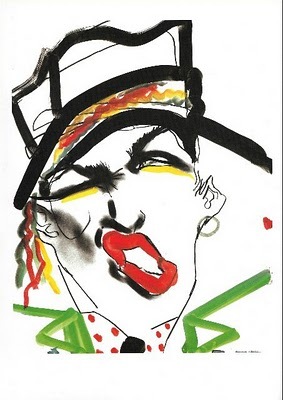 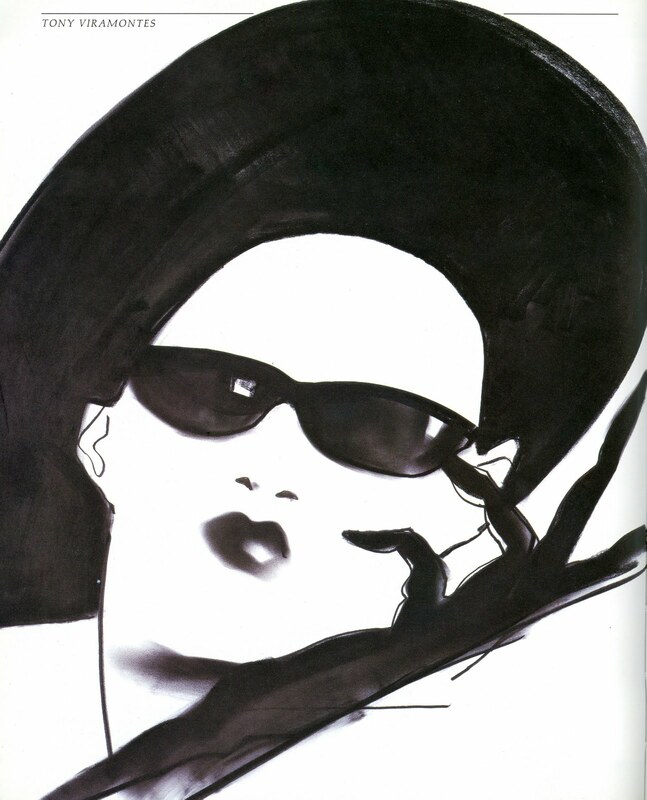 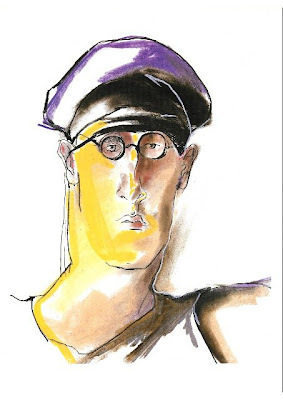 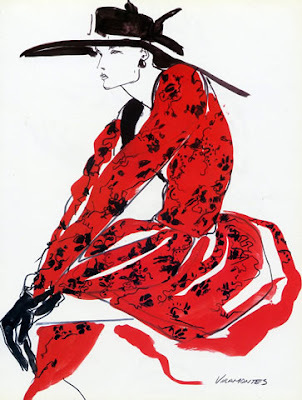 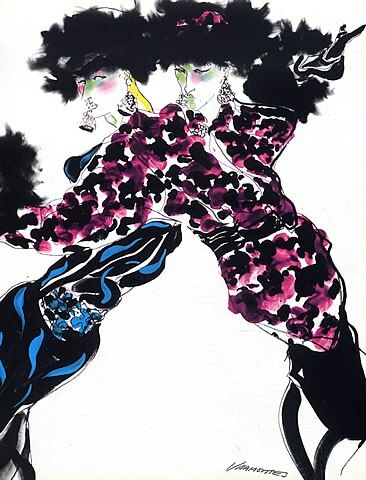 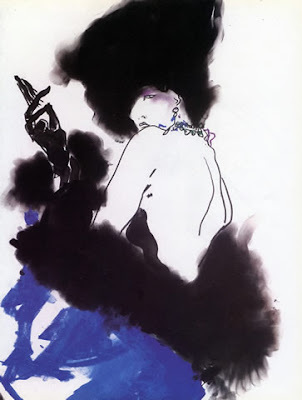 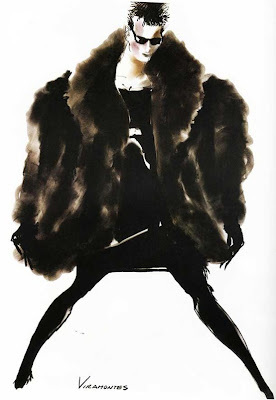 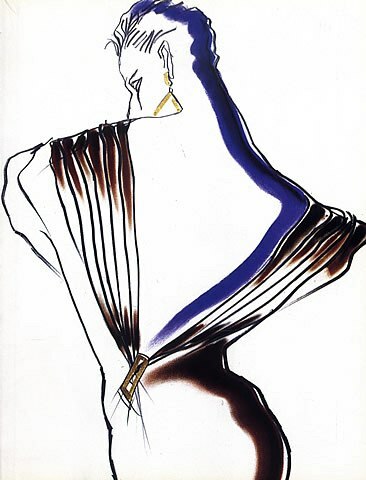 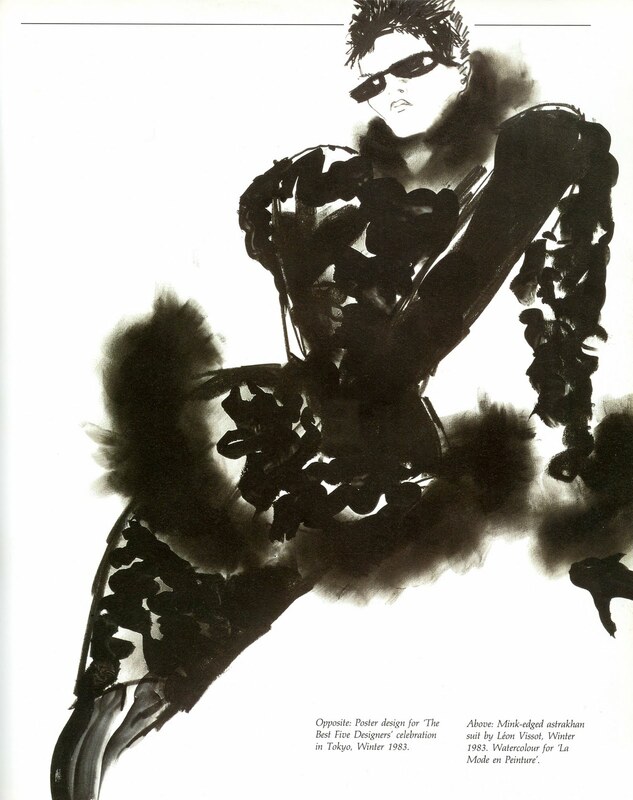 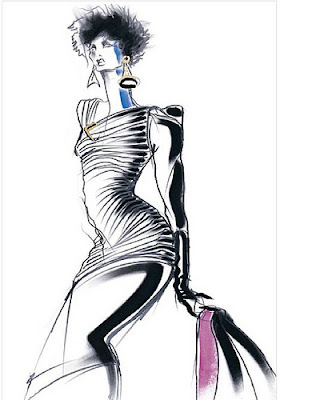 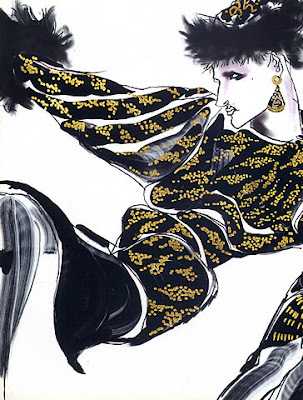 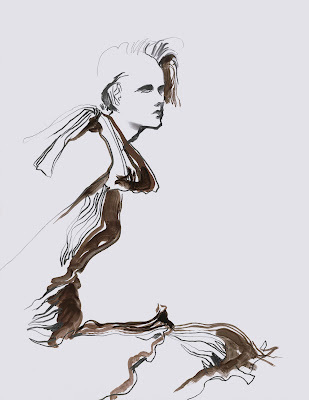 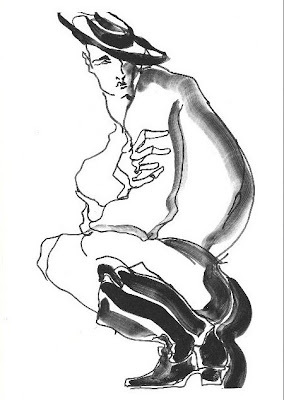 His electric and energetic illustrations remain a great influence to all fashion illustrators in terms of both technique and style. 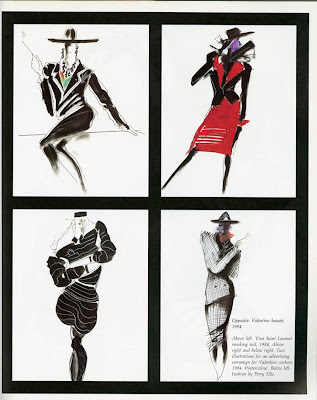 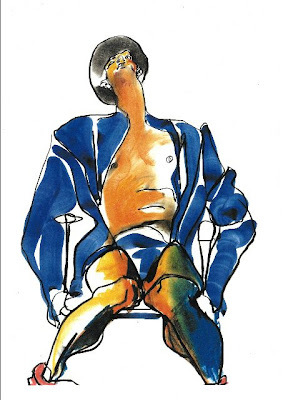 I have however managed to scan some old copies of �fashion illustration� and the revised edition, �fashion illustration today� by Nicholas Drake which was released when Viramontes was still alive, which contains some illustrations that I haven�t seen elsewhere online. 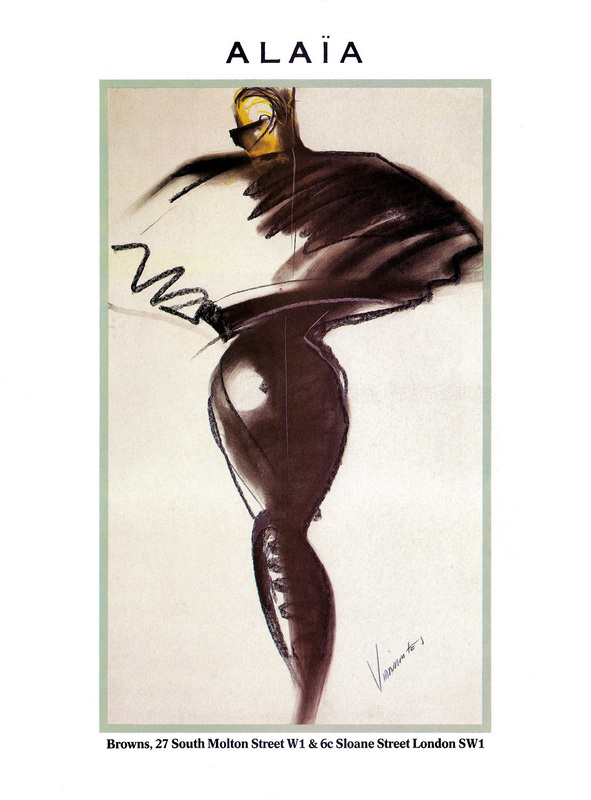 Viramontes was more than just an illustrator, and he disliked being referred to as one. 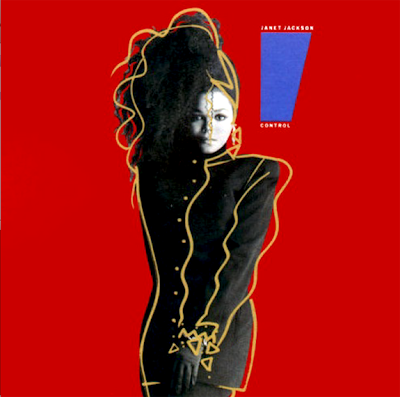 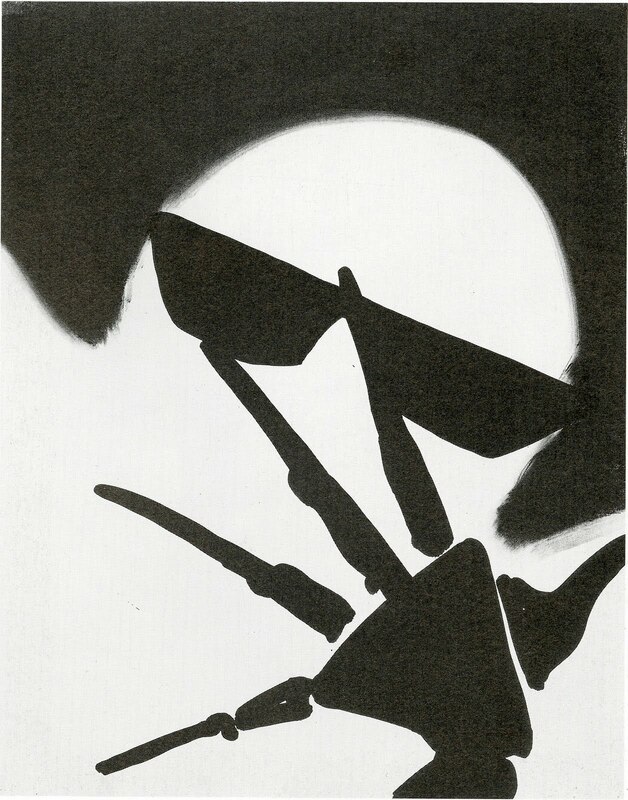 He would also work with photography and mixed the two mediums together, creating striking new wave images that would go on to gain iconic status. 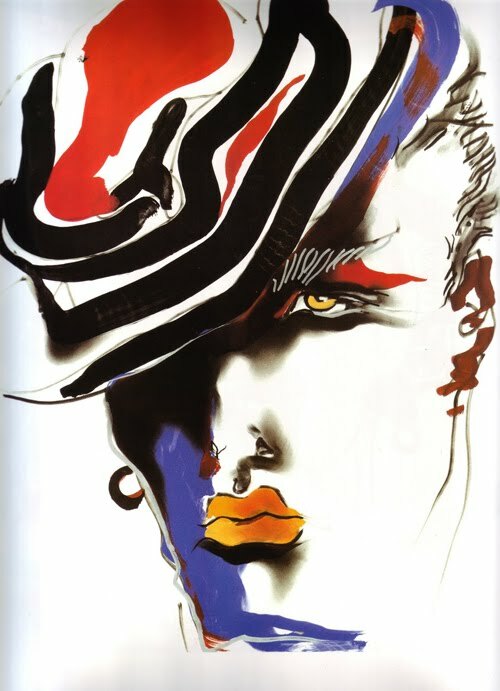 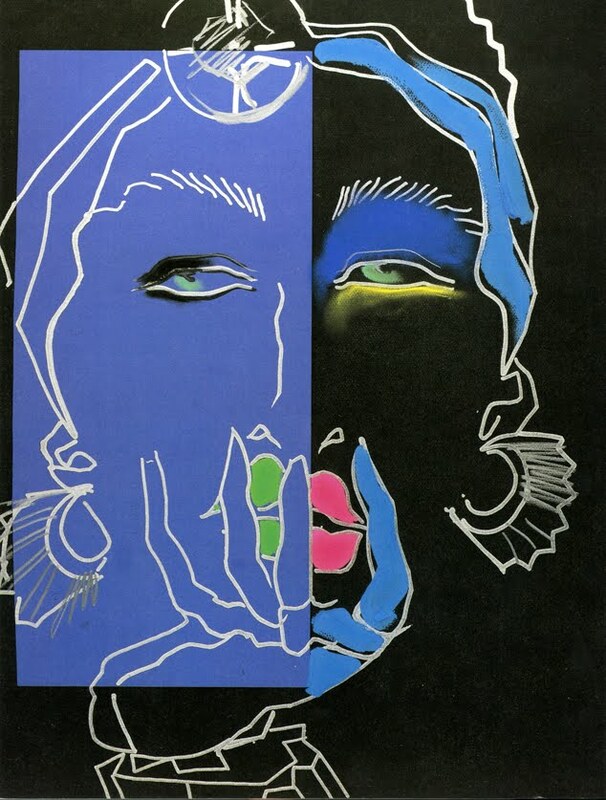 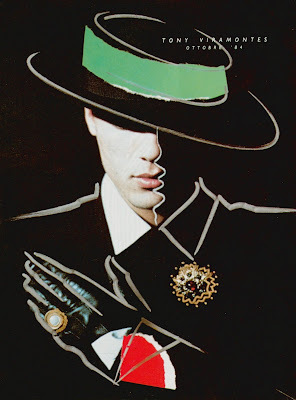 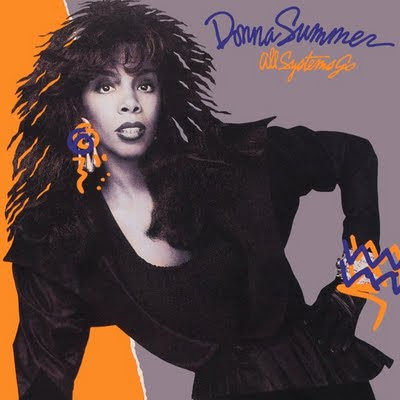 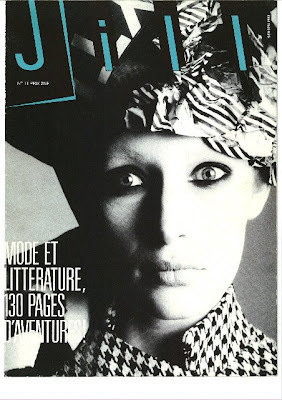 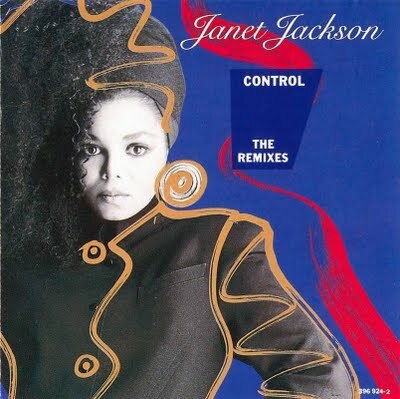 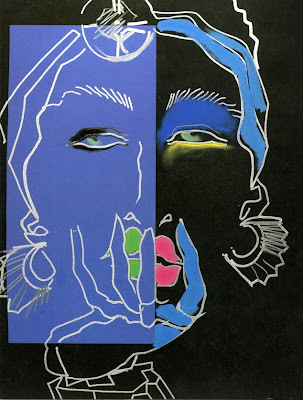 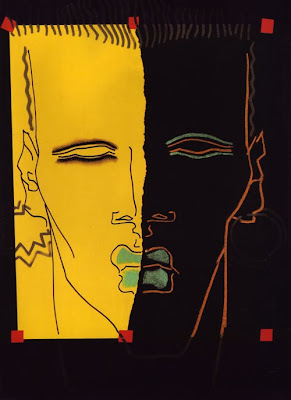 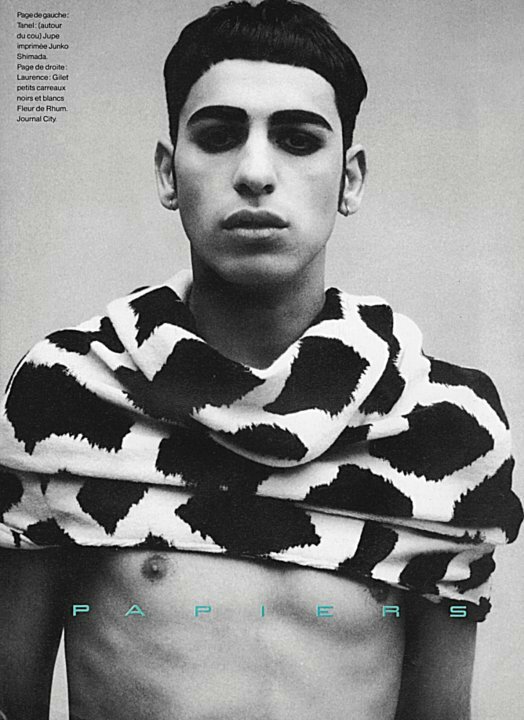 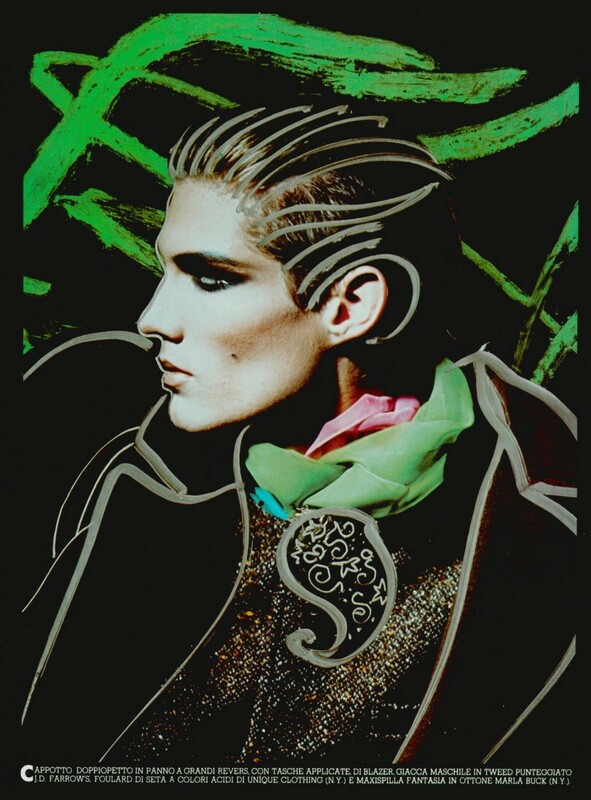 His work for The Face (particularly my favourite) worked closely with Ray Petri, Barry Kamen and Mitzi Lorenz and helped define the Buffalo style period of the 80s, the period that The Face was considered to be at it�s peak. Unfortunately, his career was cut short when he tragically died in 1988 of Aids, aged just 28. It�s saddening to think just how much more he would have accomplished had he lived on. 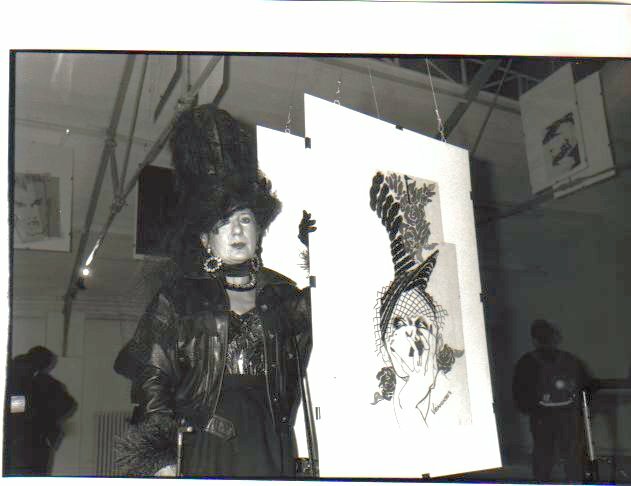 Born in Los Angeles in 1960. 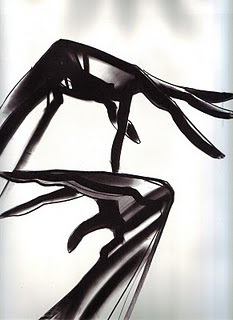 After travelling extensively was based in New York - studying photography and fine arts. 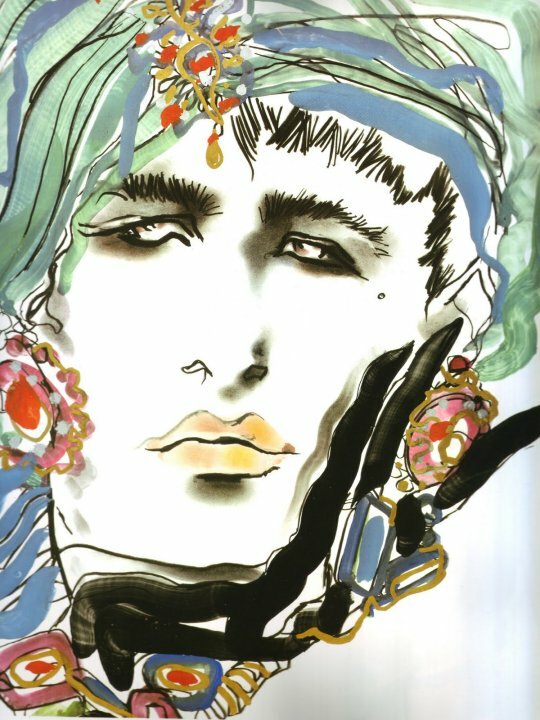 A trip to Paris saw him work for major houses like Valentino, Claude Montana and Yves Saint Laurent, Valentino, Versace, Chanel, Perry Ellis and Rochas cosmetics. His style was fast and electric, and he would work through dozens of quickly drawn illustrations to capture the right one. 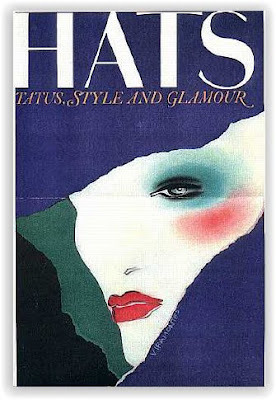 He completely wiped the floor with the illustrators at the time who were favoured for working in a softer pastel style. 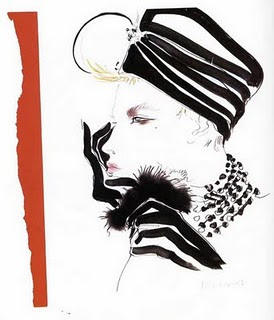 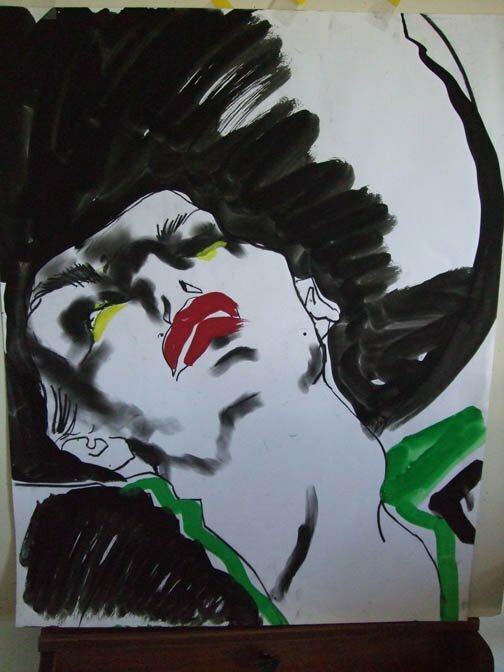 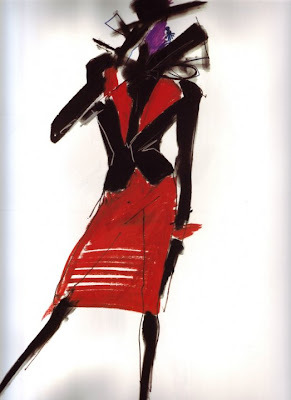 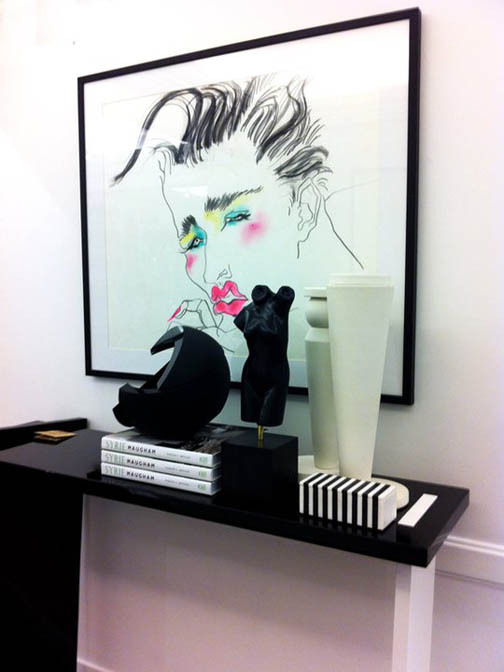 His sketches caught Anna Piaggi's attention - he worked for Vogue Italia, Harpers Bazaar, Lei in Italy, Vogue USA, The Face, Marie Claire and Le Monde in France. 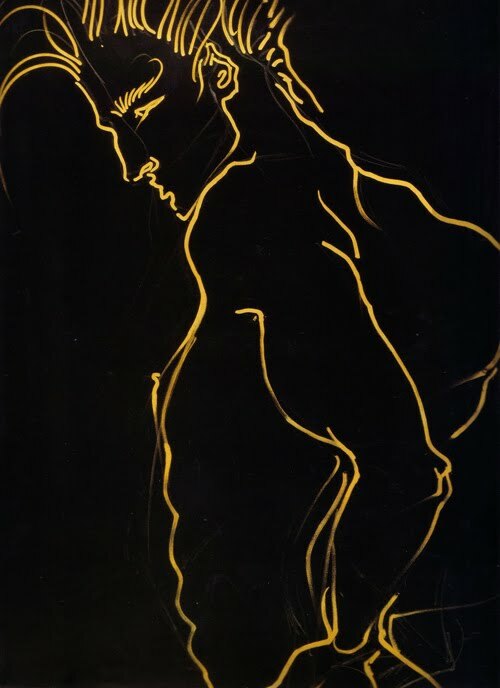 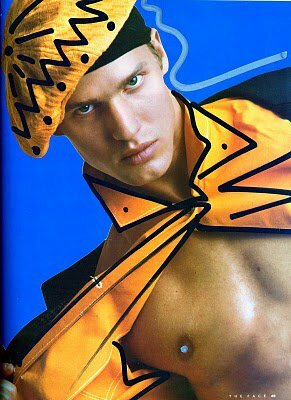 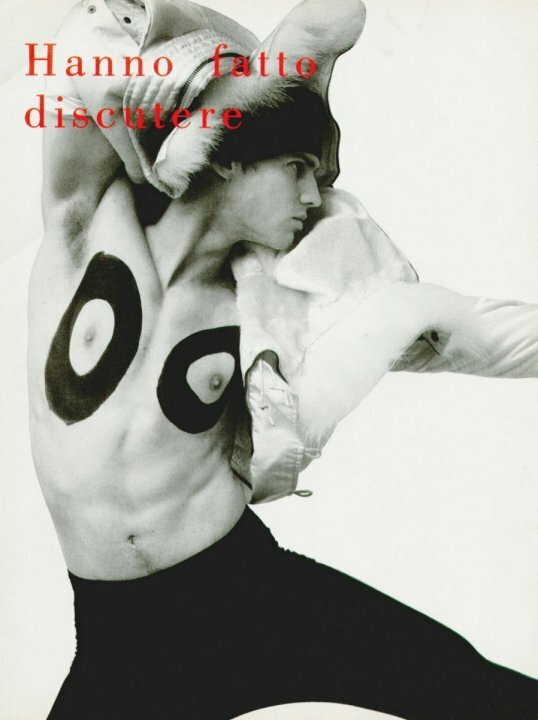 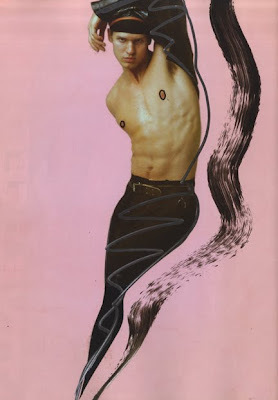 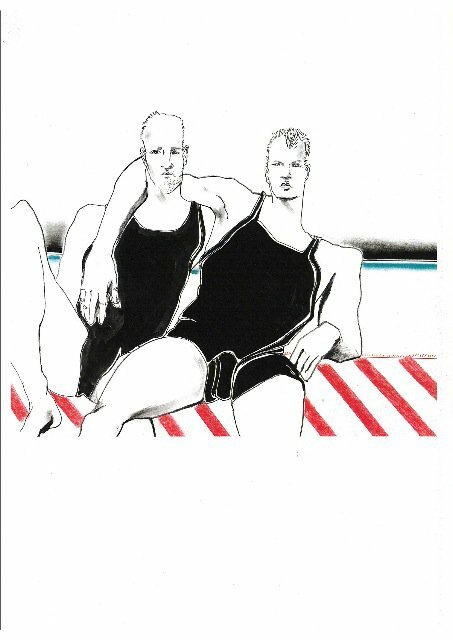 He listed among his influences Man Ray, Jean Cocteau, Degas, Matisse, Egon Schiele, Picasso, Fellini and Tom of Finland. 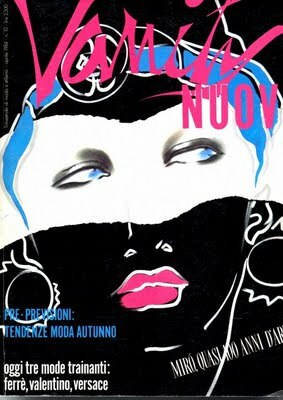 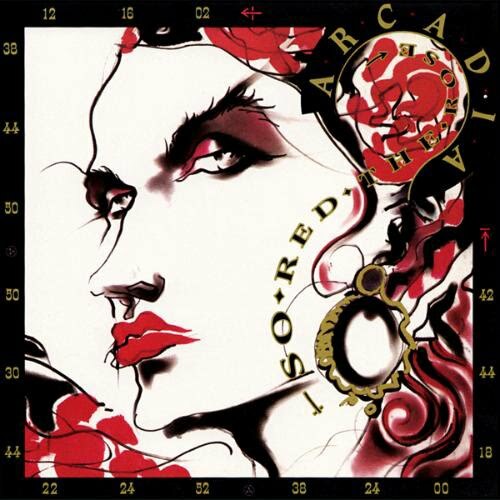 Goldy - the latest Italian version of Fiorucci - and Hanae Mori, the Japanese couturiere, asked him to take on the artistic direction of their companies, from the decoration of their boutiques to the design of their collections.